One look at this Walnut and Maple combo and you'll most likely fall in love. Its rich warmth is felt immediately by anyone close enough to see. The contrast is intriguing and confident. 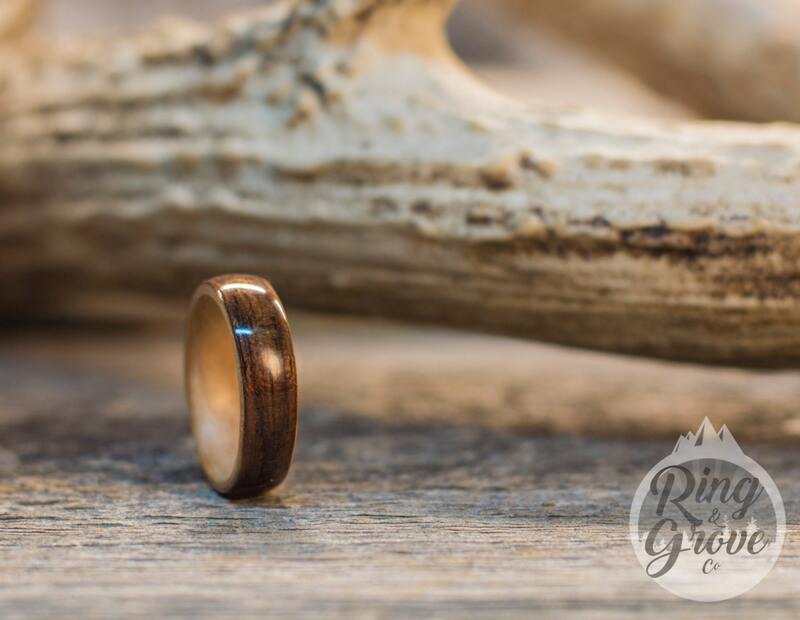 When your admiring your Walnut ring up close you'll notice a gentle gold translucent colour waiting to be admired by an admiring eye. Addition to Walnuts stunning beauty, it boasts of great strength and workability for the craftsman. Maple as well is a great strong wood sharing in many of the great characteristics that Walnut has. 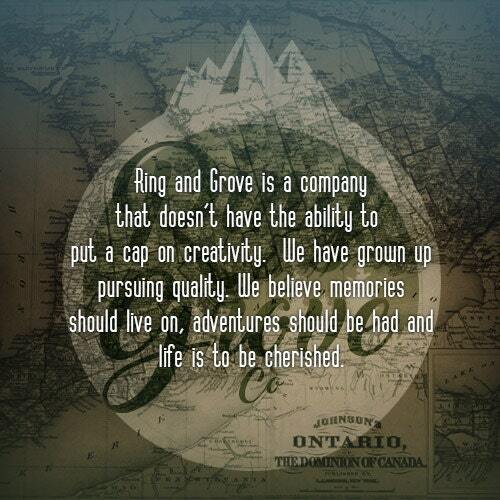 We at Ring + Grove co are always in awe once a one of our rings are polished up ready to head to its new home. 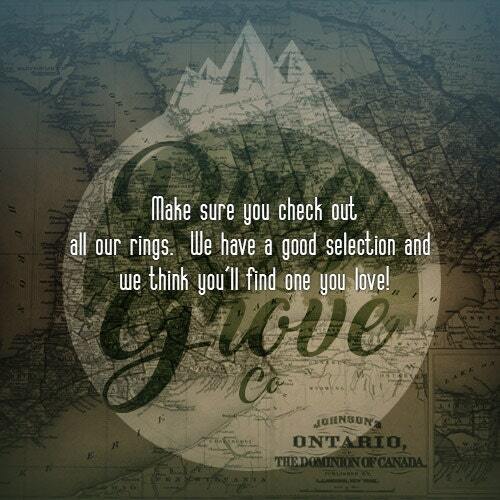 We believe that choosing one of these rings is always a great choice. 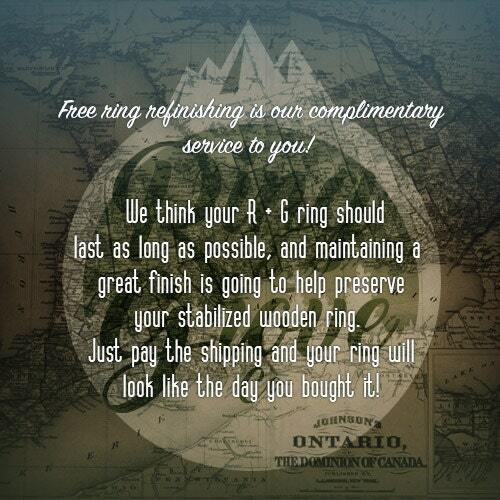 This ring is even more beautiful than we imagined it would be. 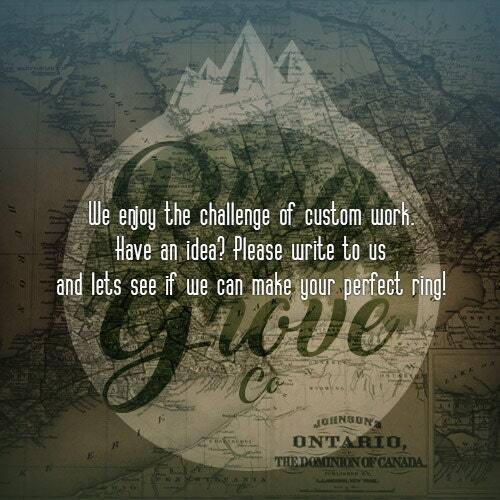 The quality and workmanship are fantastic. Sizing is perfect. Shipping was quick and the packing was lovely as well. Thank you for everything Jeff!